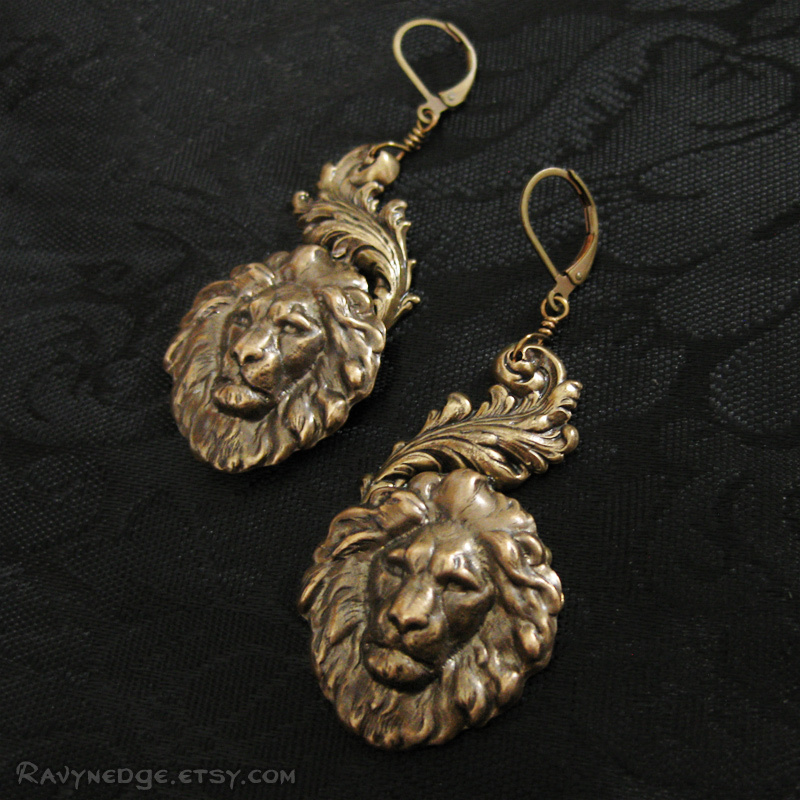 Regal Spirit Dangle Earrings - Lion Head Dangle Earrings by RavynEdge. 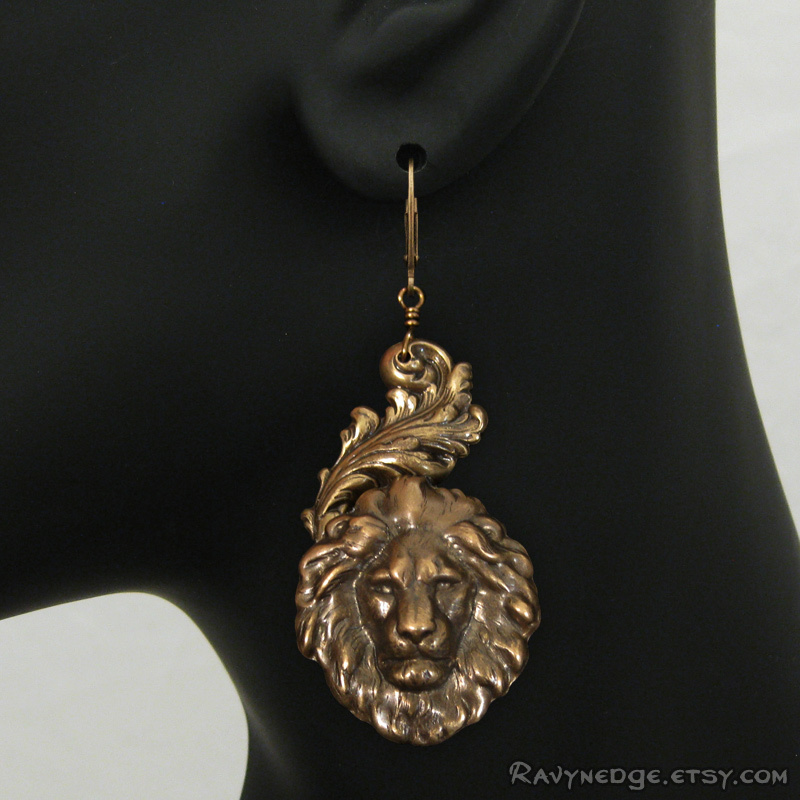 "Regal Spirit" is a fabulous pair of dangle earrings that will make a bold and elegant statement. 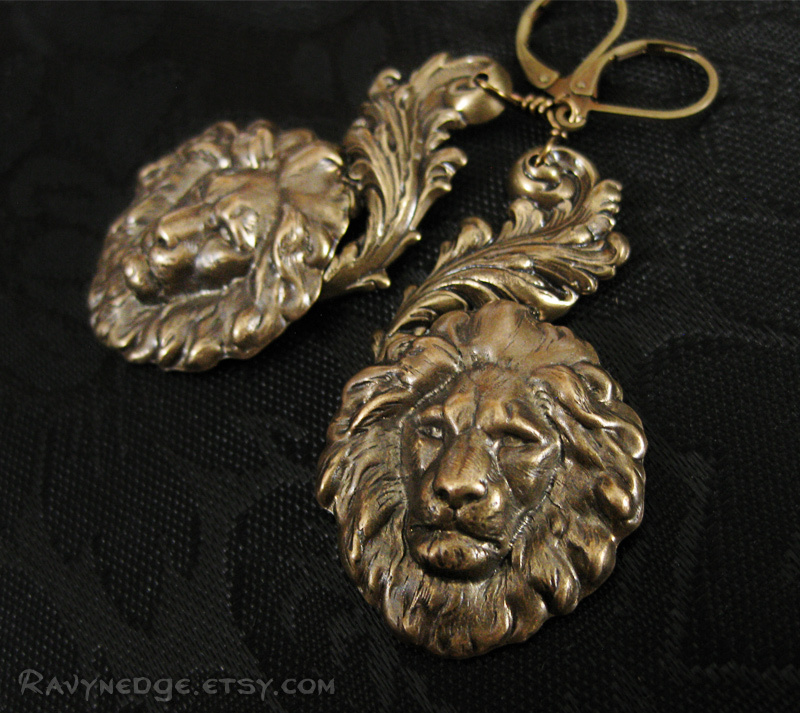 They feature the head of a noble lion and a majestic flourish that hangs from your ears. Measures approximately inches (65mm) from the top of the lever back earwire. 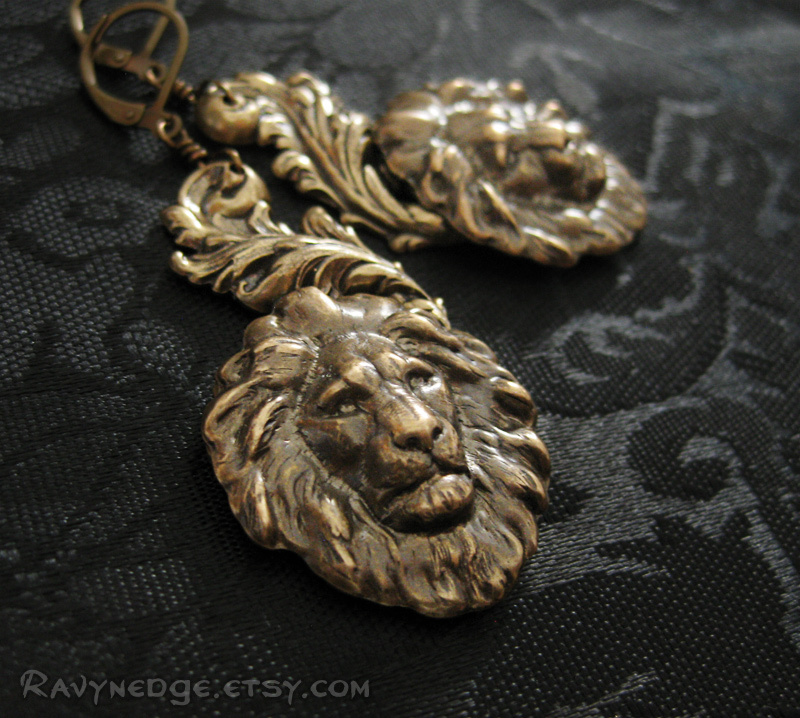 All the metal is brass, oxidized to bring out the amazing details. Nickel free and lead free.